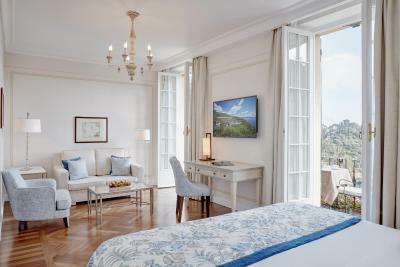 Lock in a great price for Belmond Hotel Splendido – rated 9.3 by recent guests! Beautiful Location Great staff! 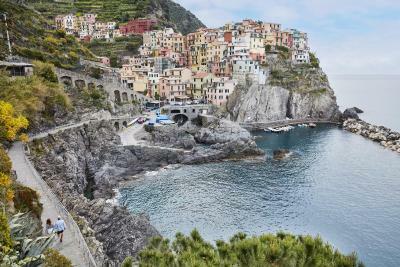 Just a lovely place to vacation !! 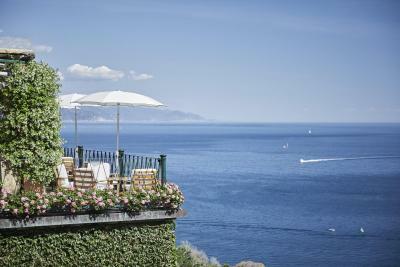 Location is stunning beautiful views, magnificent garden terraces , nice pool area . Excellent staff . Very luxurious and relaxing bedrooms and public areas . 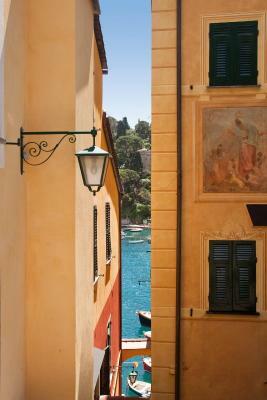 Enjoyable stroll into Portofino on a walkway. The service, the location, the ambiance was outstanding. Location,restaurant and suite balcony view full stop. Best position on lake. Secure premises. Great service. Stunning views. Great food in upscale restaurant. The staff were amazing, all very helpful, polite and welcoming. They went to great lengths to meet our needs - defiantly 5 star staff! Good shuttle service between the two hotel locations. 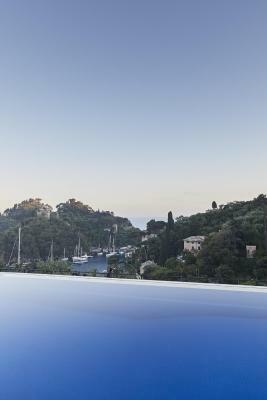 Great pool area, fabulous views. Location, location, location! Nice touch of fruit and presseco in the room on our arrival! Excellent quality bedlinen and towels. Beautiful landscaping, the flowers around the property are stunning. Breakfast at the smaller hotel site was ok but up on the hill it was 5 star! Highly recommend eating at Taverna Del Marinaio, great food and good service, we were made to feel very welcome. Ferry is cheap and worth using. 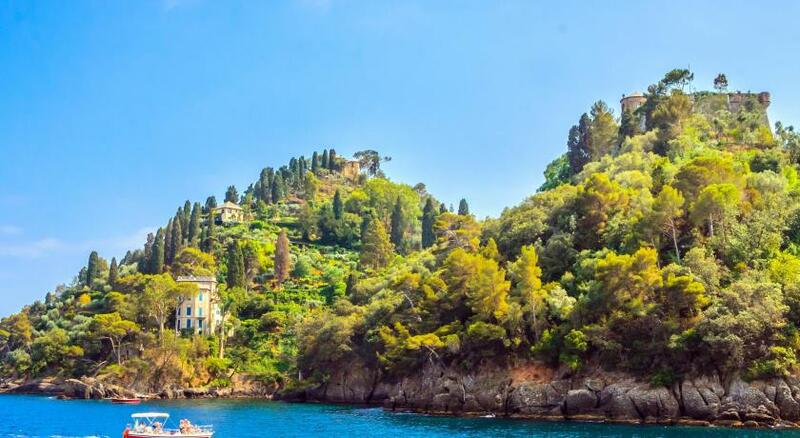 Portofino is beautiful - picture perfect. Walk to the church, castle and light house, the views are wonderful and you can reward yourself with a drink at the small bar at the light house! 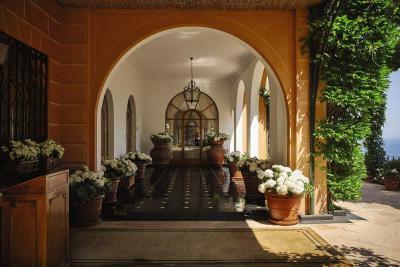 Belmond Hotel Splendido This rating is a reflection of how the property compares to the industry standard when it comes to price, facilities and services available. It's based on a self-evaluation by the property. Use this rating to help choose your stay! 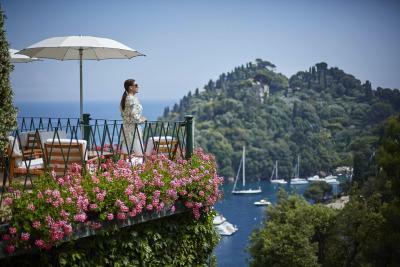 Set on a verdant hillside overlooking the yachts of Portofino Harbor, Belmond Hotel Splendido offers rooms with panoramic views of the sea or the garden. 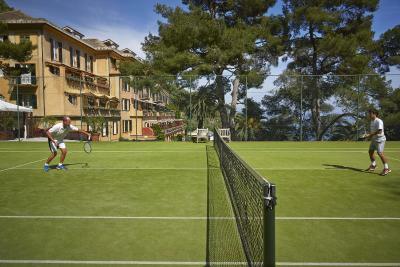 Guests can also enjoy the free outdoor pool, fitness center with sauna, and a wellness center. 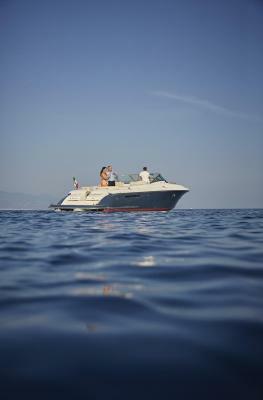 Transport to Genoa Airport, Rapallo Railway Station, and Santa Margherita Railway Station can be organized on request. 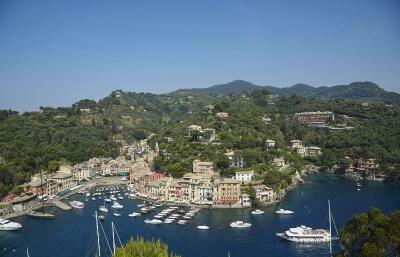 This property also has one of the top-rated locations in Portofino! Guests are happier about it compared to other properties in the area. 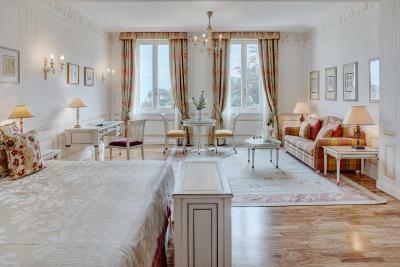 Overlooking the garden, this room is in the main building and is decorated with pastel colors and fine fabrics. Features free Wi-Fi and wired internet, a plasma-screen HD TV with CD and DVD player, and air conditioning. 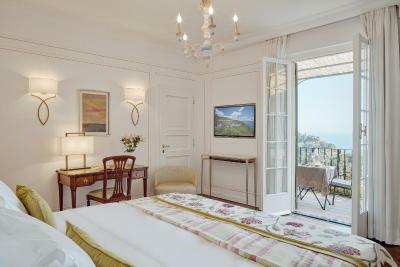 In the main building, this large junior suite offers views of the sea from the balcony or terrace. Features free Wi-Fi and wired internet, a plasma-screen HD TV with CD and DVD player, and air conditioning. 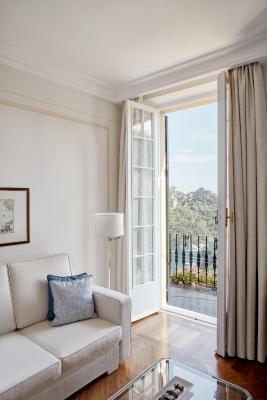 Offering a sea-view balcony, this room is in the main building and is decorated with pastel colors and fine fabrics. Features free Wi-Fi and wired internet, a plasma-screen HD TV with CD and DVD player, and air conditioning. 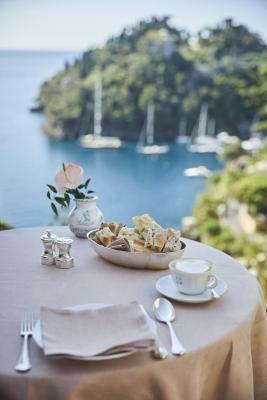 House Rules Belmond Hotel Splendido takes special requests – add in the next step! Any additional older children or adults are charged EUR 176 per night for extra beds.